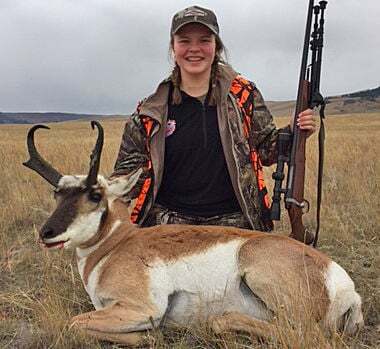 Aubrie Zohner shot her first antelope near Harlowton on Oct. 6. The 16-year-old is a junior at Frenchtown High School. She shot the antelope at 225 yards using her .25-06. 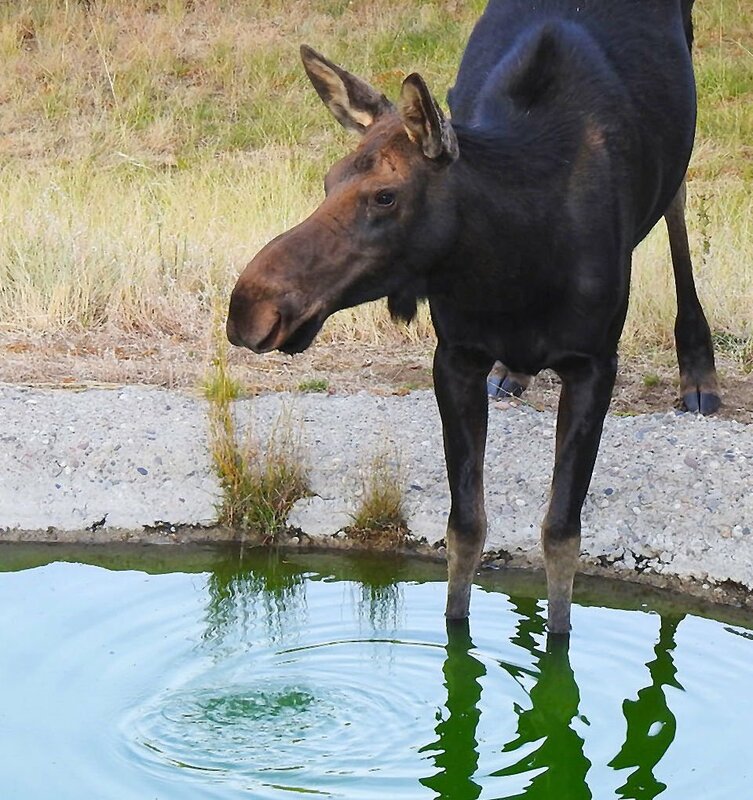 Sarah Smart, who lives off Lost Moose Bend near Whitehall, had two visitors this summer — this cow moose and its calf. The cow jumped the fence to drink out of Smart's pond while the calf was stuck on the other side and had to drink from the dog's bucket of water. Connor Bushnell, 13, of Helena shot his first elk this hunting season. Billings hunter Carson Gehrke, 12, bagged this muley buck east of Winnett. It was the first deer he shot since completing the hunter safety program.